Disclosure: This post is sponsored by Sutter Home Family Vineyards. The opinions and text are my own. Where are my sweet wine-loving friends? 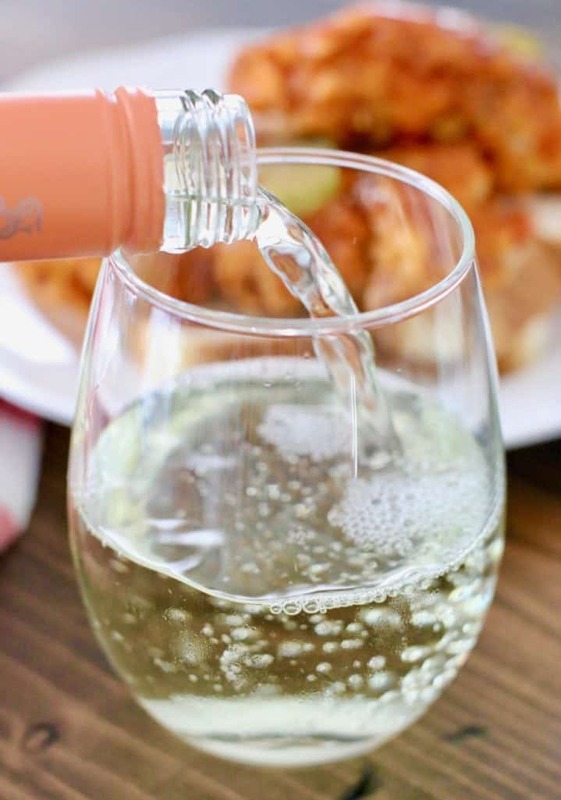 Drinking a sweet wine isn’t just for dessert anymore. 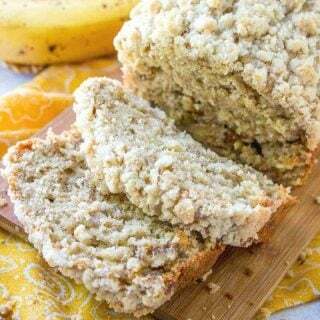 It goes beautifully with your everyday meals! Sutter Home wines are affordable but they do not sacrifice on flavor! 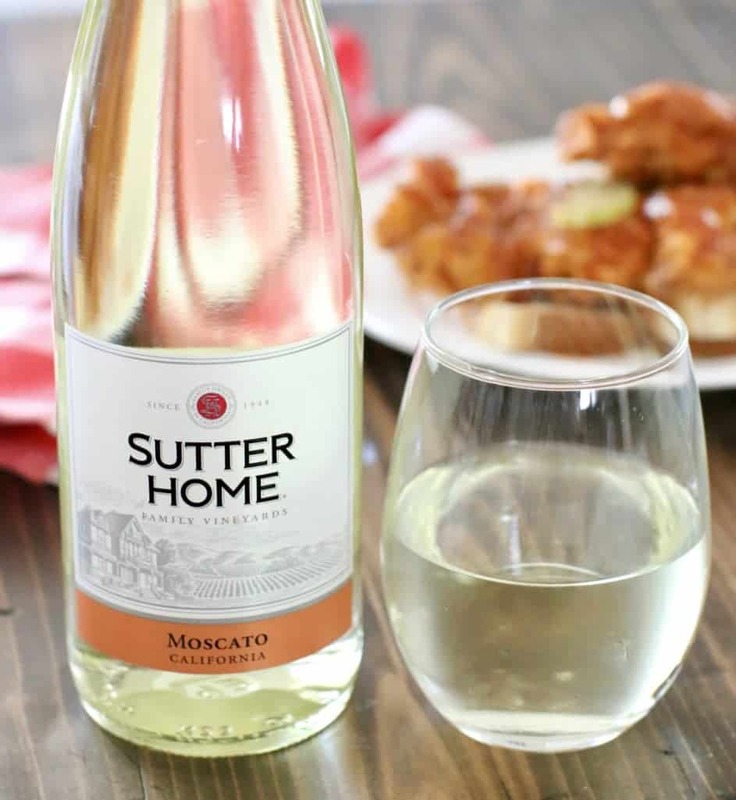 Today I am sharing my favorite Sutter Home Moscato wine which has almost a slightly strawberry taste with a hint of peaches. It’s probably my most favorite of all the sweet wine flavors. Fun fact: Sutter Home is still an American, independent, family-run winery! 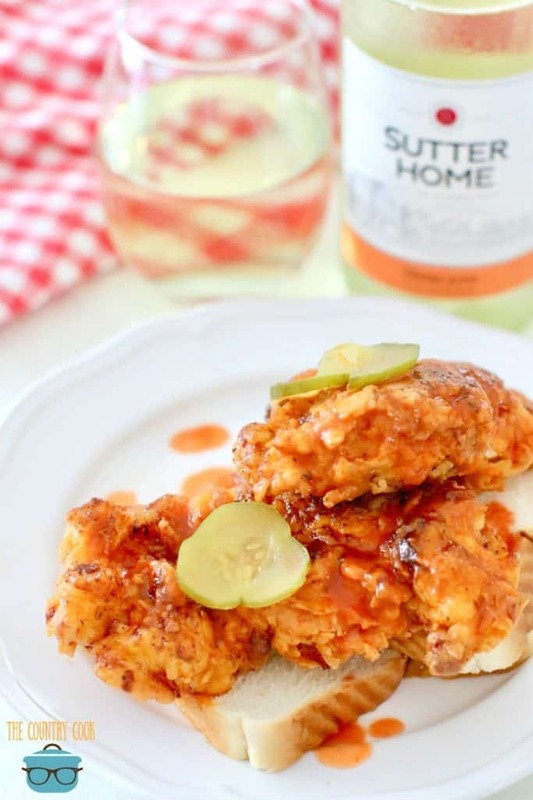 We’re gonna pair the sweet, fruity flavor of Sutter Home Moscato wine with a slightly spicy Nashville hot chicken dish! I say ‘slightly spicy’ because I am a bit of a wimp when it comes to super-spicy dishes so I toned this down a bit for my tastes. See my notes below for adjustments. 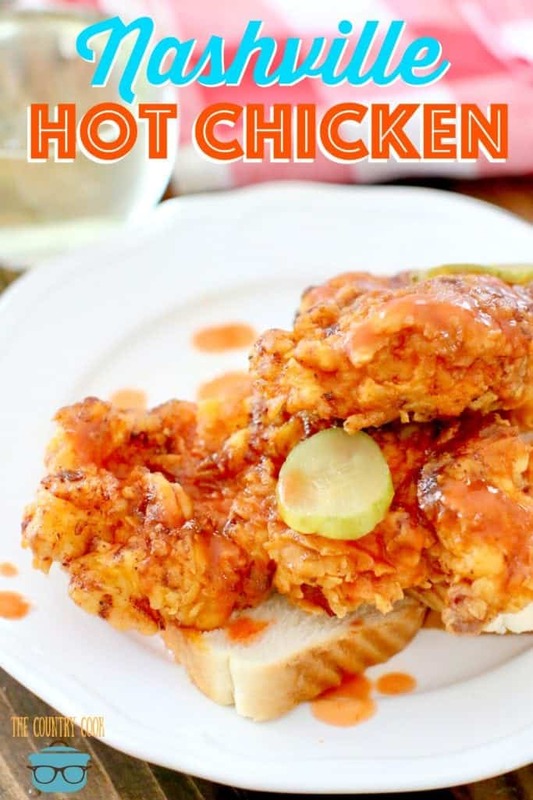 Hot chicken is a southern favorite. 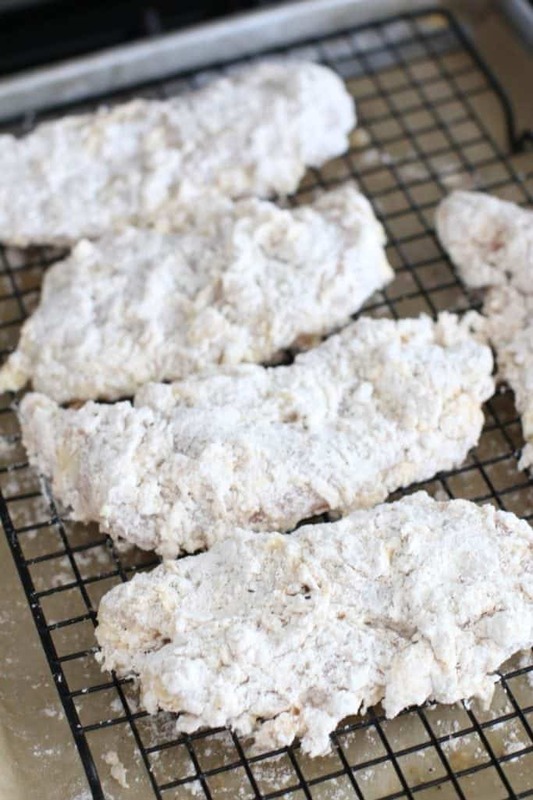 It was made famous in Nashville and now many of us are familiar with this special chicken recipe. It’s definitely enjoyed in my neighboring state of Virginia. The crispy chicken is covered with a deliciously spicy sauce and is absolutely scrumptious. 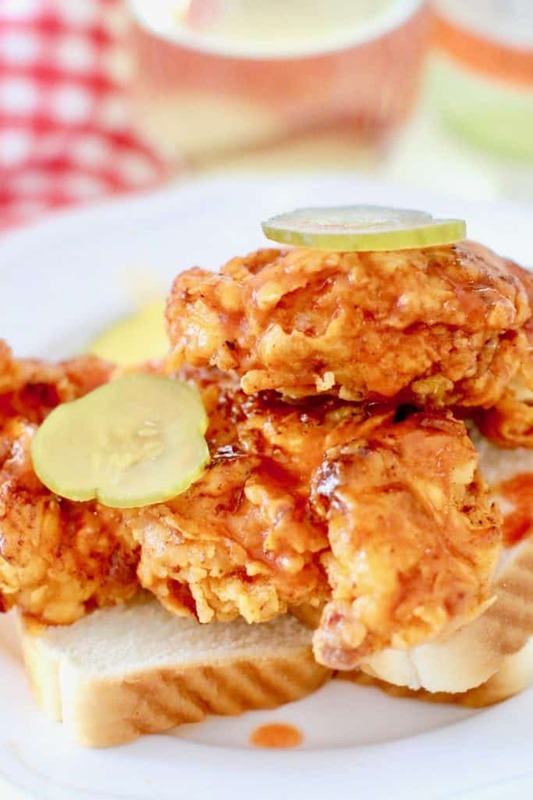 And of course, no Nashville hot chicken is complete without a couple slices of pickles and a piece of white bread. I am using chicken breasts here for easy eating but you can use any of your favorite cuts of chicken. 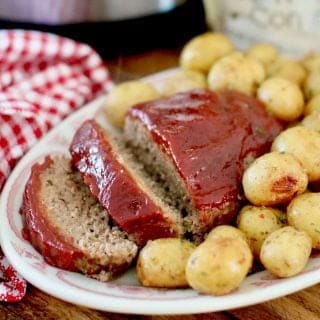 It really tasted amazing with a sweet, cool glass of Sutter Home Moscato. It’s the only way I’ll serve it from now on! Cook’s Notes: You can use any chicken cut you prefer. Bone-in chicken thighs are a great, cheaper alternative. Also, feel free to add more cayenne pepper to make it even hotter. Note: I am a total wimp when it comes to spice so I am only using a tablespoon of cayenne pepper in my hot sauce. If you go to the famous Hattie B’s restaurant in Nashville, they use about 6 tablespoons of cayenne pepper just in their medium sauce! So my advice is to start with a little and add more until you get it to your preferred level of heat. Pat chicken dry with paper towels. Set aside. 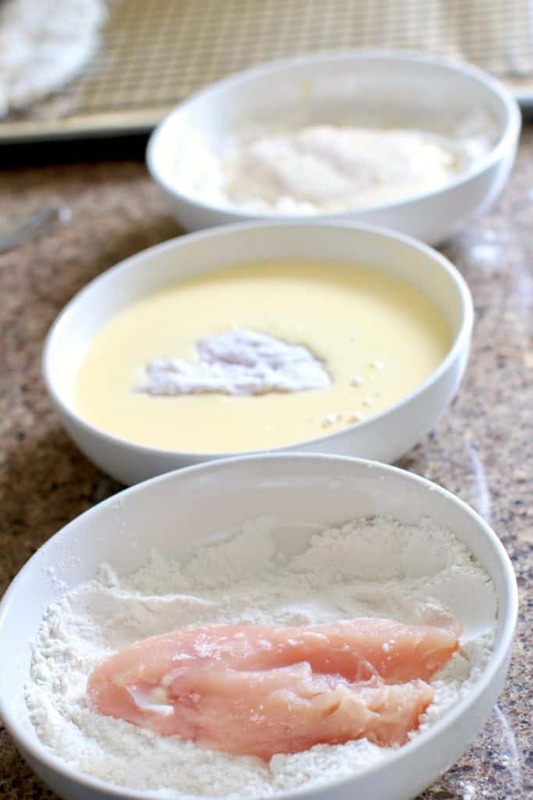 Make the chicken coating: You’ll need three wide, shallow bowls. In one shallow bowl, pour in one cup all-purpose flour and mix it with salt and pepper. In a second shallow bowl, whisk together eggs, buttermilk, and hot sauce. In a third shallow bowl, whisk together the other cup of all-purpose flour and blackened seasoning. 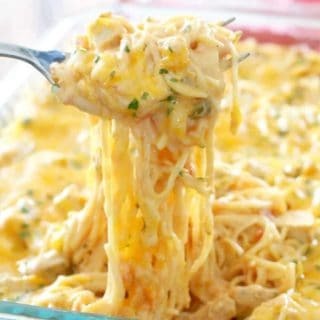 Place prepared chicken on a baking sheet. Continue with the rest of the chicken breasts. 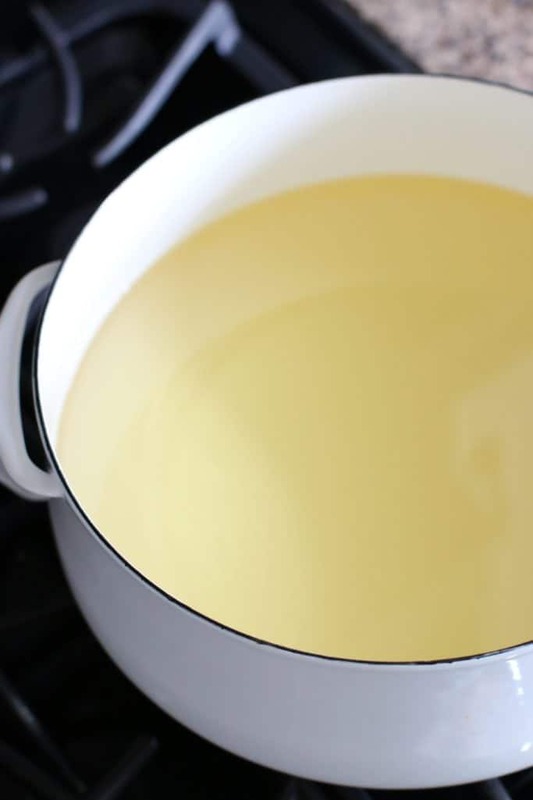 Heat up the oil: Using a heavy-bottomed pot or large cast iron skillet, pour in oil so it comes up about 3-4 inches inside the pot. Heat over medium-high heat until a heat-safe thermometer registers 325°. 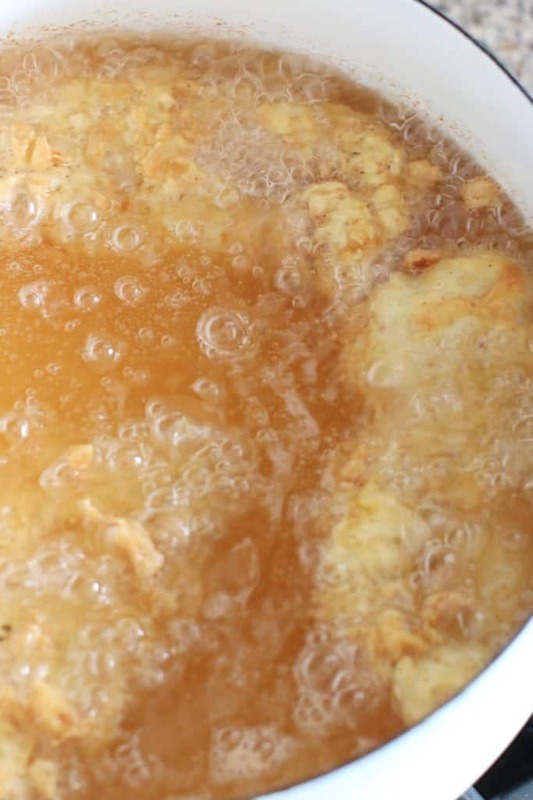 Fry the chicken: Working in batches, fry 2-3 pieces of chicken at a time, turning occasionally. Transfer cooked chicken to a clean wire rack set inside a baking sheet. 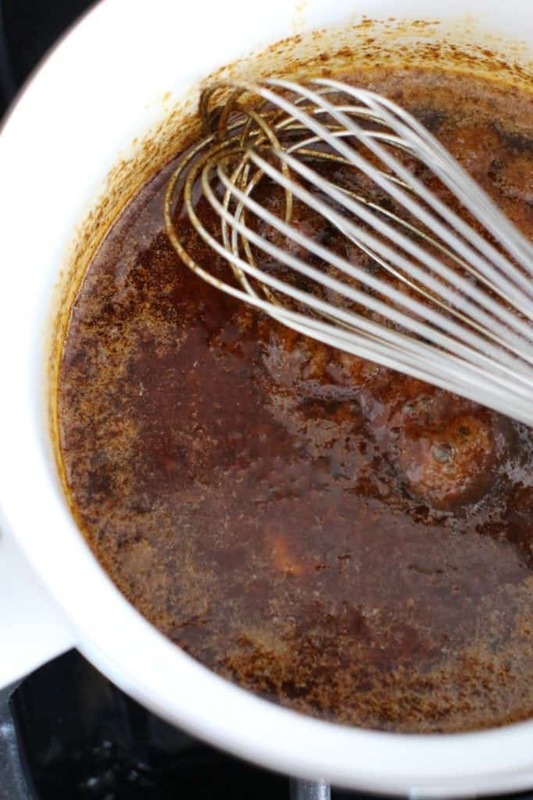 Prepare the Nashville Hot Sauce: Whisk together cayenne, brown sugar, chili powder, garlic powder, and paprika in a medium bowl; carefully whisk in 1 cup frying oil. Cook’s Notes: I usually just use the oil that I fried the chicken in after it has cooled slightly. Or you can use fresh oil. I like the added flavor the used oil gives the sauce. 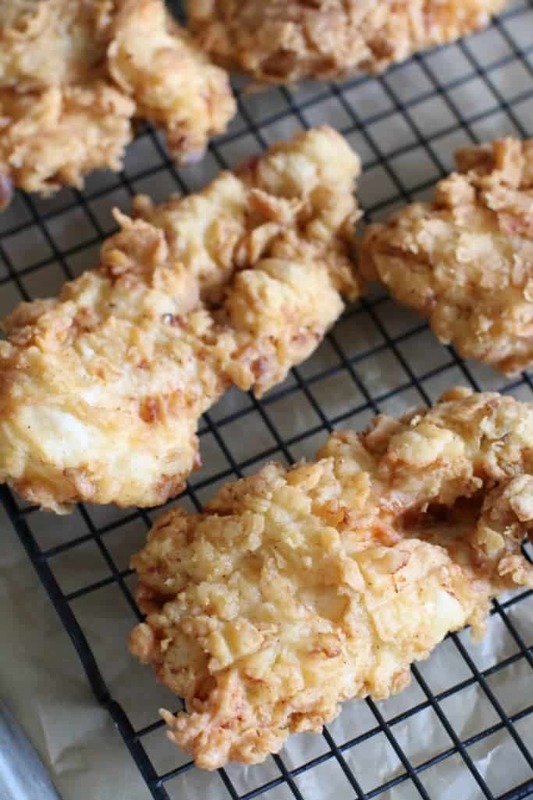 Brush fried chicken with spicy oil or drizzle it on top. Serve with sliced white bread and pickles. 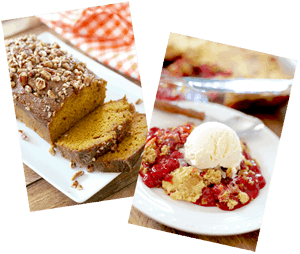 And, of course, serve with a glass with of cold, sweet Sutter Home Moscato. 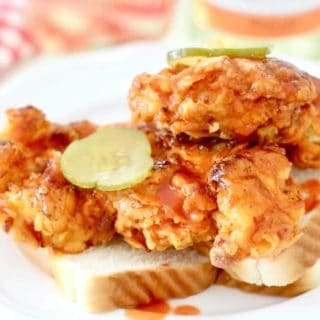 This Nashville Hot Chicken is tender on the inside and crunchy on the outside with a slightly spicy sauce drizzled on top! Served on a slice of white bread. Make the chicken coating. You'll need three wide, shallow bowls. 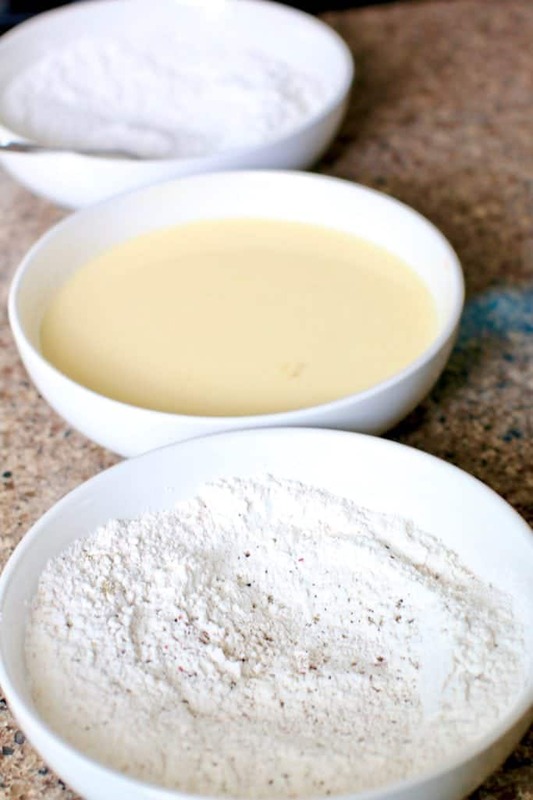 In one shallow bowl, pour in one cup all-purpose flour and mix it with salt and pepper. 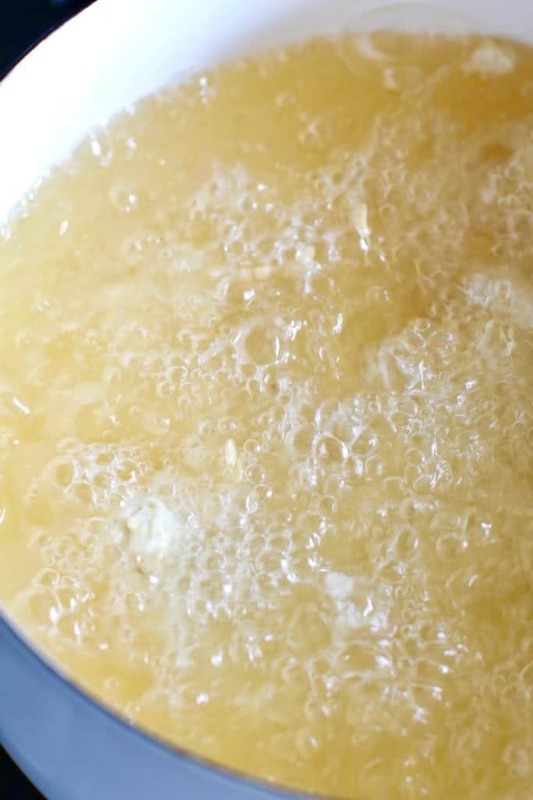 In a second shallow bowl, whisk together eggs, buttermilk, and hot sauce. In the third shallow bowl, whisk together the other cup of all-purpose flour and blackened seasoning. Then dip chicken into buttermilk mixture, letting excess drip back into bowl. Finally, dredge chicken piece again into the final flour bowl (that is seasoned with the blackened seasoning.) Place prepared chicken on a baking sheet. Continue with the rest of the chicken breasts. 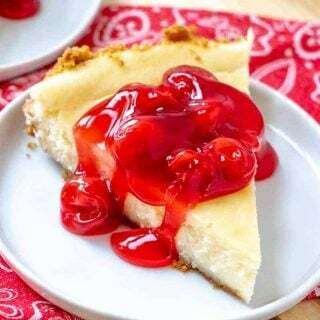 Heat up the oil: Using a heavy-bottomed pot or large cast iron skillet, pour in oil so it comes up about 3-4 inches inside the pot. Heat oil over medium-high heat until a heat-safe thermometer registers 325°. Prepare the Nashville Hot Sauce: Whisk together cayenne, brown sugar, chili powder, garlic powder, and paprika in a medium bowl; carefully whisk in 1 cup frying oil. 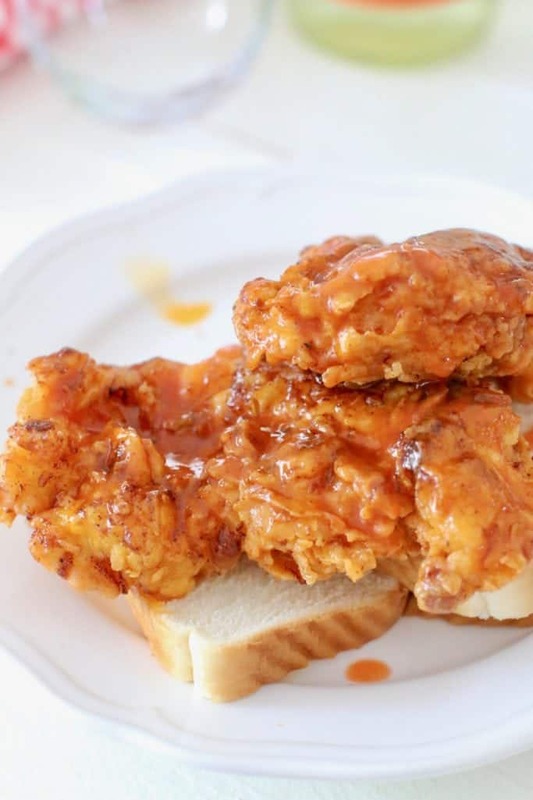 Brush fried chicken with spicy oil. Cook's Notes: I usually just use the oil that I fried the chicken in after it has cooled slightly. 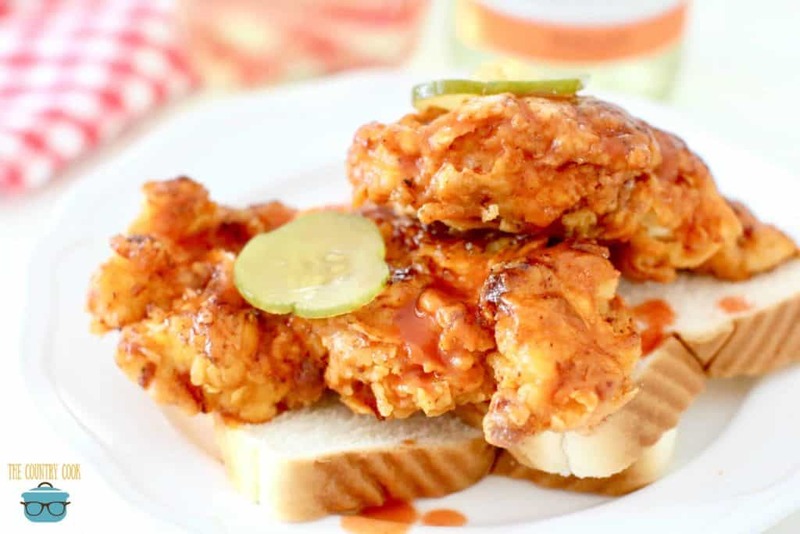 Serve chicken on sliced white bread and pickle slices. You can use any chicken cut you prefer. Bone-in chicken thighs are a great, cheaper alternative. Also, feel free to add more cayenne pepper to make it even hotter. That looks fantastic and altho I am not a fan of sweet wines, in general, I agree that serving them with a spicy dish is great! I printed this out and I’m all ready to fry! Where do I find the Blackened seasoning ??? Hey Donald! Zatarain’s makes a brand of blackened seasoning but there are other brands out there too. But it would be located in the spice section of your grocery store (near the steak and chicken seasonings.) Hope that helps!! 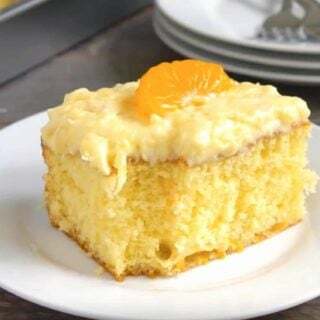 Definitely going to make! 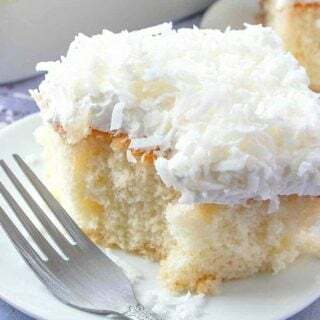 Love your recipes, Brandie!! So sweet! Thanks so much Pansy!